While I am keeping a count of UNESCO World Heritage sites I have visited, I realized that I am quickly racking up the 7 Wonders of the Ancient World. I saw 2 alone in Turkey! I should use the verb “saw” loosely as both sites are essentially destroyed but definitely a notable stop along the way. Mausolus was a benevolent and progressive Persian satrap (or territorial governor) of Southwestern Turkey from 377–353 BC. He ruled from his new capitol of Halicarnassus built on a easily defendable cove and lavishly decorated by the royal couple. 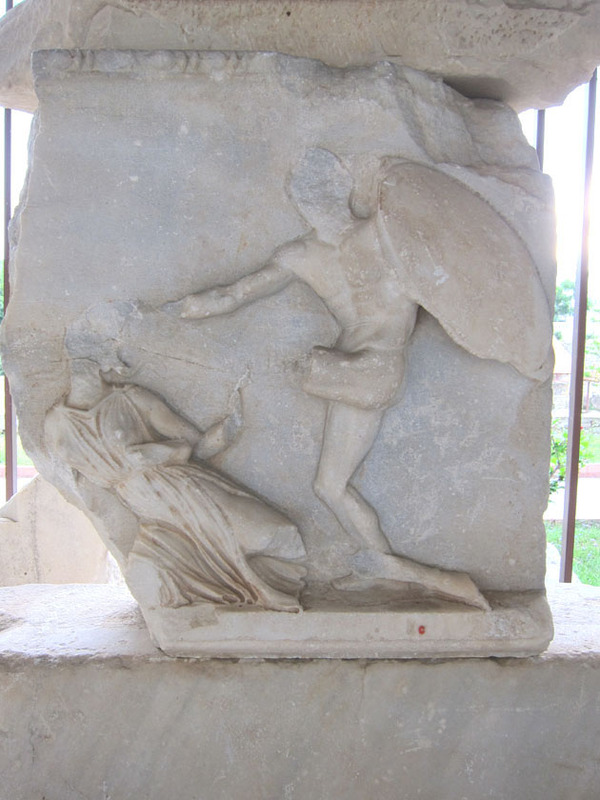 As legend goes, his wife/sister Artemisia was so distraught at his death that she commissioned an incredible tomb for him. The structure was so impressive, it entered our lexicon as the word for a elaborate tomb – a mausoleum. The building was 145 ft tall or approximately 14 stories. It was rectangular and looked like an ancient Greek temple on a stand, although there is some debate on the exact dimensions and division of the horizontal registers. Almost every level was densely decorated by sculptures and friezes while the roof top was capped with a bronze equestrian statue of Mausolus and Artemisia driving a chariot. Reportedly, the greatest artists and architectures of the Ancient Greek civilization were brought to Halicarnassus for this project. 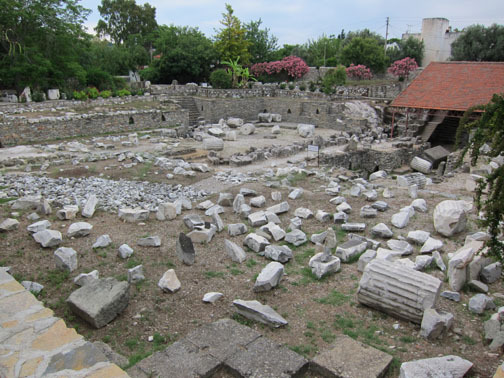 Although the site was celebrated as a “Wonder of the World” when completed, there really isn’t much to see today in Bodrum – the modern city build over the ruins of Halicarnassus. The general outline of the structure is visible, as are some of the tomb tunnels. After several earthquakes fully destroyed the temple portion by the 15th century, most of the stone was removed for other building projects. Much of the art was lost or removed to other European museums. With archaeological fragments and contemporary written accounts, we’re left to imagine this lost treasure. 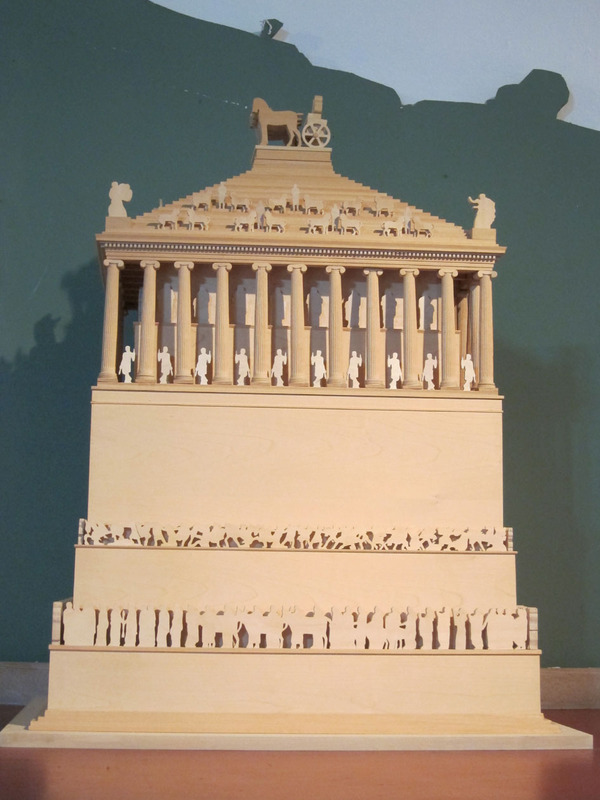 The Mausoleum at Halicarnassus endures in our architectural tradition and remains famous for what would have been an overwhelmingly decorated tomb – both in the quantity and quality of the sculpture.